 Student diversity is a hallmark of the academic experience at Missio. You will enjoy meeting and developing life-long friendships with men and women from around the neighborhood and around the world. Our aim is to make your experience at Missio as spiritually, academically, and culturally fulfilling as possible. To provide all students with a dynamic academic experience, the following are additionally required for international student admissions. If you are an international applicant whose native language is not English, or who has not received a bachelor’s degree or its equivalent from an English-speaking institution, you must send official results of the Test of English as a Foreign Language (TOEFL) to the admissions office. Missio requires all such prospective students to take the TOEFL internet-based test (TOEFL iBT). The minimum required score is 20 in each of the four sections (speaking, listening, reading, and writing). The minimum total score for the MA/MDiv is 80; 90 for ThM; 100 for DMin. For information concerning the TOEFL iBT Test, visit www.ets.org. An international applicant who has a bachelor’s degree or its equivalent from an English-speaking institution is exempt from submitting TOEFL iBT, but may be required to take ACS courses. This is to ensure the success of the student in graduate level theological education. In addition, international students who require an I-20 must provide evidence of documented financial support by submitting three forms: an I-20 Dependent Form, an F-1 Financial Form, and an affidavit of support with original bank statements. A $500 matriculation fee is required before an I-20 will be issued. That matriculation fee is not refundable unless the Visa is denied. If the Visa is granted the fee will be credited towards tuition. Students coming from other institutions in the United States must also submit a transfer form. These forms may be obtained here. You must also demonstrate that you have enough financial support to cover the first full year of seminary before admission can be granted. Missio reserves the right to request payment in full for the first enrollment year in an amount that covers full-time tuition and living expenses. Individuals who will be studying as students in the US for the first time must also pay an initial status fee to the government before applying for a visa. For more info, see the international student info guide above or visit www.FMJfee.com. Are you in need of additional training? Our Advanced Cultural Studies program focuses on English as a second language curriculum designed for people doing theological studies at the graduate level. The innovative curriculum orients students to theological terms, academic writing skills, and a full program of core courses that prepare international students for the seminary experience.